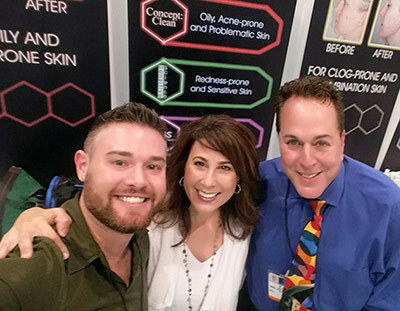 Though his career in the spa industry started when he opened his own esthetic practice, it wasn’t long before Mark Lees, Ph.D., became a product developer after noticing several of his clients had adult acne exacerbated by use of anti-aging products. 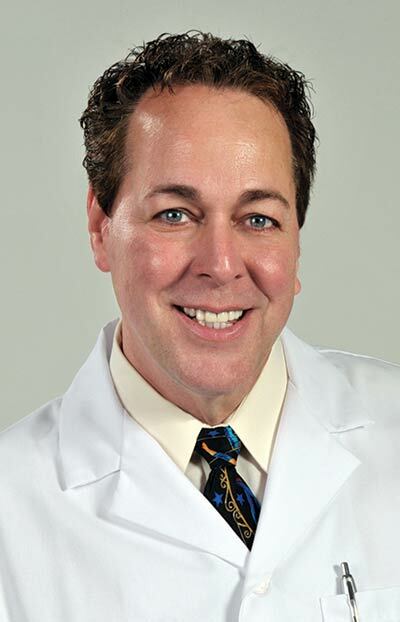 It was then that Lees became known in the industry as an acne specialist, and he has since been lauded as a nationally recognized educator, speaker and author in esthetics. Lees was among the first authors when Skin Inc. began in 1988, and we celebrate him along with our 30th Anniversary in 2018. We caught up with Lees to discuss skin care, lessons learned and his love for the theater. 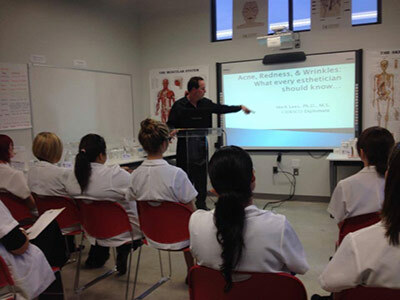 Skin Inc. (SI): How did you get started in esthetics? Mark Lees (ML): I was always a science buff, and I studied animal science and theater at the University of Florida. During my theater training, I took a course in theater makeup and found it fascinating and the only form of visual art that I did well! After graduation, I decided I wanted to be a makeup artist, so I went to cosmetology school. My teacher happened to be a former Hollywood makeup artist and helped me a lot. She saw that there was a CIDESCO congress in New York and thought I should go because there were some big name makeup artists that were speaking. It was at that congress that I met Christine Valmy, who I now consider one of my strongest mentors. Later that year, I enrolled in her school and studied esthetics. My strong biology science background kicked in and I fell in love with skin care! SI: What made you focus on acne? ML: When I first started practicing, I saw a lot of problem skin—especially in adults—which led to my search for good skin care products for adult women. These were clients fighting aging, but breaking out from the products they were using. I kept seeing this over and over, and so I began researching how to make high-end, great products for aging that were safe for acne-prone clients. I was in graduate school at the time, so I spent a lot of time researching comedogenicity and acnegenicity. The result was what is now the Mark Lees Skin Care. ML: I already mentioned Christine Valmy. I would also say that Dr. James Fulton and Dr. Howard Murad are definitely on that list too. ML: Passing my CIDESCO Exam was one of my most memorable moments. I was 27 years old and in graduate school. I went to my major professor to ask for a term off to prepare for the exam, and he turned my preparation into a directed study. I was so excited when I passed the test. It was a great feeling of accomplishment for me—maybe even more than my degrees. ML: I think learning to take a breath before conquering problems. I used to jump right on any issue that came up in business. Now, I take my time making decisions, considering everything carefully before reaching a decision. SI: What piece of advice would you give to a new esthetician? ML: Be patient! It takes time to build clientele. I had a second job the first three years of my practice. People get out of school and expect [to make] $50,000 the first year. That is not going to happen. You have to really throw yourself into your work and be present and meet people. I can’t think of one successful esthetician friend that does not love their work. Loving your work, whatever it is, is so important. Also, unless you want to work in a purely resort spa, you need to be prepared to help people with real skin issues. The majority of people who seek professional skin care services have some sort of appearance issue that they want corrected: congested pores, acne-prone skin, redness issues or signs of aging. You need to be well trained in how to provide real-world help for these people. SI: What direction would you give to a new spa owner? ML: Don’t try to offer everything. Focus on one or two specialties. Secondly, really research your choice of products. The bottom line is if the product works and if clients will buy it again. It is all about quality and performance. Home care is so important for the client’s and your business success. It takes at least an hour to do a $100 facial, how long does it take to refill $100 of a client’s favorite products? SI: If you could go back in time and tell yourself something, what would it be? ML: I really don’t have a lot of regrets. I guess I would tell myself to be more aggressive about marketing myself and my company. SI: Where do you see the future of the esthetic industry heading? ML: I think the next trend will be specialization in certain services. 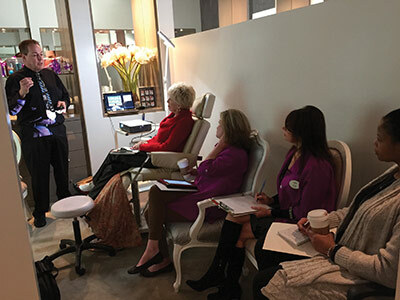 Less “spas” and more skin care specialty clinics/studios that are results-oriented. The consumer wants to see a difference in their skin! ML: I enjoy cooking and working out, especially power walking—great thinking time. I’m a good tourist. I also like a New York theater weekend.